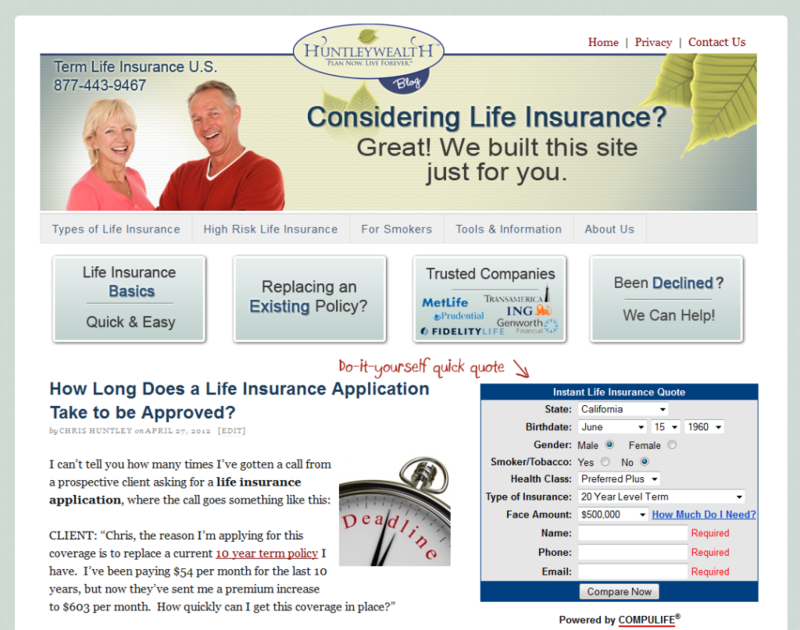 Design is essential for the success of an insurance lead generation site (or any site). When visitors land on your site, your design must capture their attention and keep them there. … but how can you accomplish this without breaking the bank? 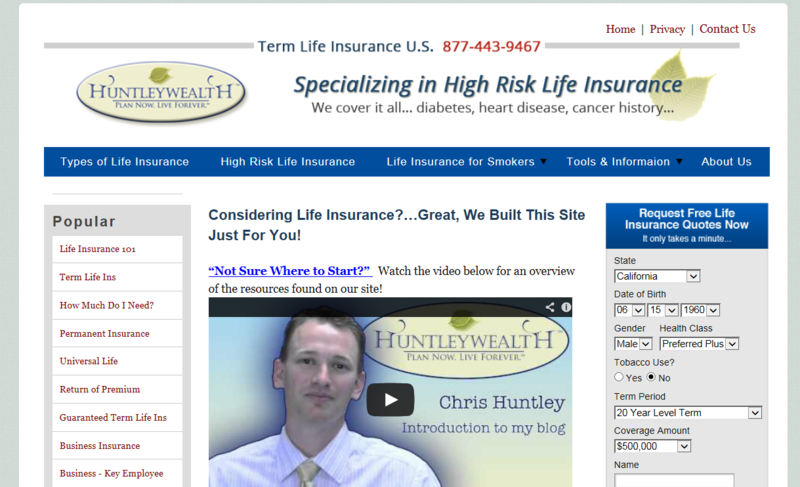 I believe after spending $3,884 designing my main site, www.InsuranceBlogByChris.com, ($2,984 of which I completely blew), I can provide some valuable insight to maximizing the results from your site design. The 80/20 principle has many applications to business life… and I’ll argue, for website design. 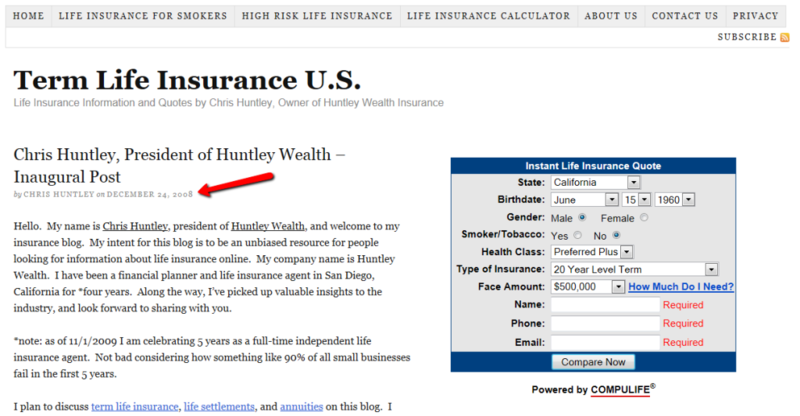 After spending thousands of dollars in site design, redesigns and tweaks, I’ve found the following to be true for www.InsuranceBlogByChris.com. 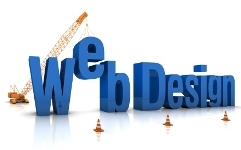 80% of the benefits of site design are achieved in the first 20% you’ll ever spend on designing your site. You may be shocked at the effectiveness (or ineffectiveness) of a lot of the design work I had done. Here’s a screenshot of what my site looked like from Dec 24th, 2008 – May 3, 2012, (sometimes there were subtle variations of wording in the Navigation Menu and stuff in the sidebar, but for the most part, this was the general look). I personally paid $500 for my friend, Glenn Cooke, to set up the site for me, add the Compulife quote form, and for an instructional ebook. This is basically what a WordPress site looks like out of the box when you add the Thesis theme and a Compulife quote form. You could literally get a site looking like this in one day. Since I’d say a lot of free WordPress themes look as good or better than Thesis out of the box, I like to think the first $500 I paid was for setup and instructions, not for design. In other words, there’s no special design that’s been done here. It’s just a template. Given that fact, I knew there were a hundred other sites out there that probably looked like mine, and wondered how such a generic design affected my visitors’ perspective of my site. So as you can see, here are the key engagement stats for the initial iteration of IBBC. Needless to say, I felt I could improve on these numbers without spending much. So I contracted JK Allen at Growth Effect for $900.00 to add a header, some color, add my logo, and a few feature boxes on the homepage. He kept my site on the basic Thesis theme, and just worked with the color of my heading tags, links, and sidebar text. It was a lot of work and drastically changed the look of IBBC. This 1st redesign went live on May 3, 2012 and some variation of this concept was up until Sept 19th, 2012. While I was pleased with the improved stats, particularly time on site at a 46% increase, I felt more could be done to improve my numbers. So I set out to tweak my initial design on IBBC. Little did I know, I would ultimately waste $2,984 over the next couple years trying to improve on these numbers. … What resulted was a colossal waste of time and money. Stay with me, ‘cause I could save you a lot of money here. You might make the same mistakes I did below. This first tweak to the first design went live on Sept 19,2012, and some form of this design was live until Jan 15, 2013.
and changed “Get Quotes” button. These changes were done within the $75 per month ongoing service contract I have with my designer. I believe it cost me around $150. Let’s have another look at my first design and compare it a pretty major tweak. You’d think changing the header and look of the quote form like that would have some sort of effect, right? I couldn’t believe that the key stats stayed unchanged like that, and my quote requests were going down… just 1,819 quote requests during this time frame out of 41,988 visitors. *Note: I should say during this period, I worked with Michael at VAMdB to eliminate some duplicate leads from counting twice in VAM, which had been a problem before, so that could have accounted for some of the reason the quote requests decreased. Rather than asking my designer to “put it back the way it was”, I set out to make more changes. I’ll go quickly through these next few. Tweak #2 went live on Jan 15, 2013 and stayed on my site until April 24, 2013. I again used JK Allen for this, and it cost me $1,059. I figure the awesome engagement at TLM is due to the left hand sidebar, as well as the well-designed landing pages in the nav menu… so here’s what we did to IBBC. Again, the changes were negligible. The current version of my site went live on April 24, 2013. It cost me a one-time payment of $275. I decided to clean it up a bit. 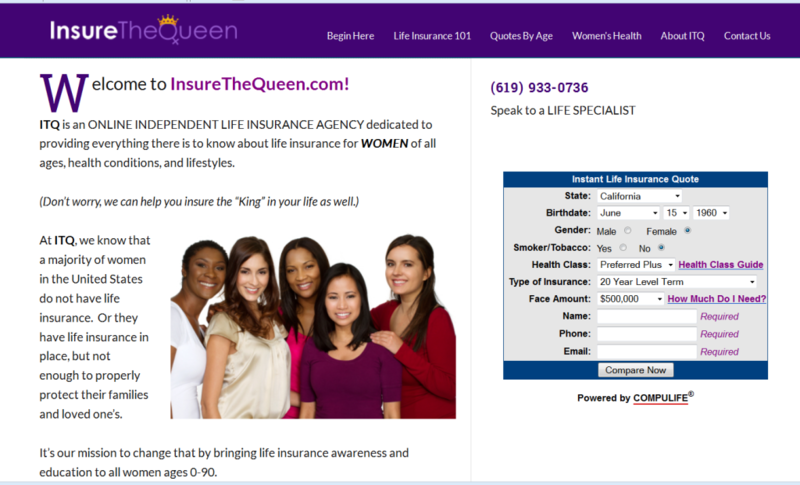 I removed the left sidebar, which I couldn’t stand, added two columns for age related quotes and a health issue category that, when clicked, are similar to the landing pages for TLM. cleaned up the color scheme. I chose orange as my action color. You can see that I use orange sparingly on my site, and the only places where it is present, it has to do with a call-to-action, where I want them to call us or click to get a quote. Surely, my numbers would change drastically this time, right? Since the initial $900 I spent on my first design, I’ve spent who knows how much time and energy on 2 tweaks, and another redesign. 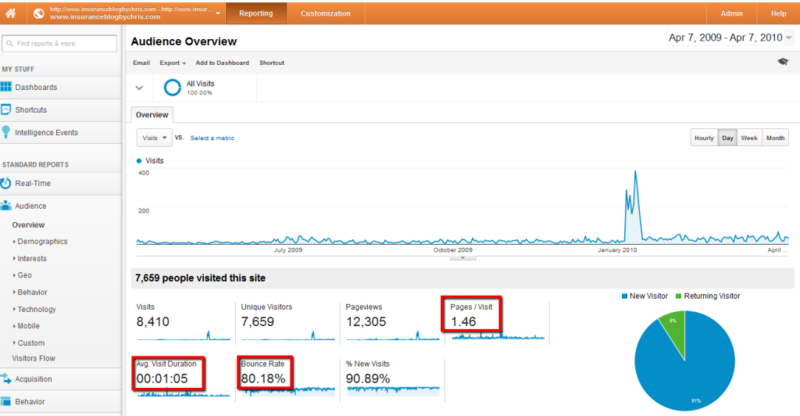 Did I really do all that to increase my pages/visit from 1.68 to 1.8 and increase average time spent on my site by 4 seconds? Incredible! Besides the aforementioned time and energy, I’ve reported above that since the initial $900 I spent on my first design, I’ve spent an additional $1,484 on additional tweaks. But that doesn’t take into account the $75 per month I pay JK for various tweaks he makes to my sites (almost exclusively to IBBC). I estimate in the last 2 years since I’ve been on monthly contract with him, that I need to add 20 hours of his time to IBBC design, which has not been accounted for in any of the cost reports above. So that adds an extra $1,500 to what I’ve spent on my site. That’s $900 initial design fee, and $2,984 since then, for a grand total of $3,884. Besides my absolutely loving the current look and feel of the site, as I think it looks more modern, cleaner, and the colors look great, still none of that was able to change my visitor use patterns. Where does the 80/20 principle fit into play? The 80/20 principle may suggest that I’d get 80% of the desired result (higher engagement and more leads) for the first 20% I spent on the design. I think that holds true for me, and in fact I got about 95% of the results from the first 23% of the total amount spent on IBBC. 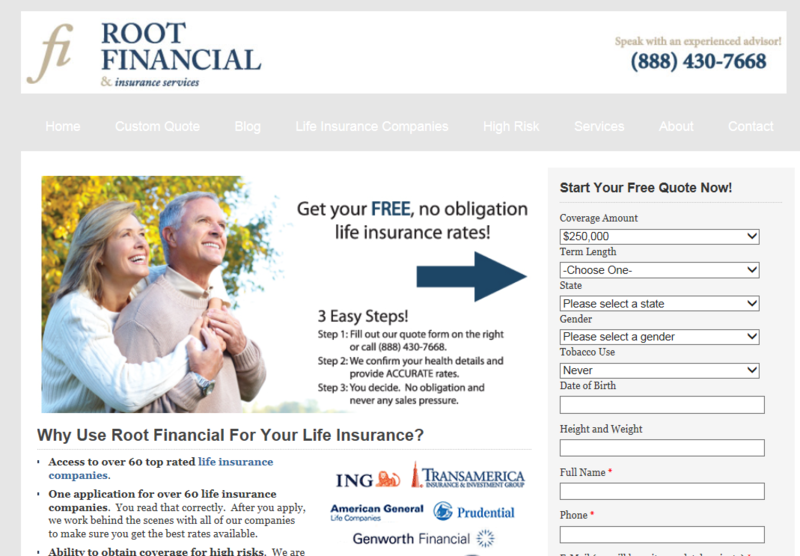 My buddy, Jeff Root, owner of www.selltermlife.com has had a similar experience with his life insurance site, www.rootfin.com, over the years. Jeff has never quite been happy with his numbers, like me, so he has continued to make small tweaks. Here’s a shot of his site as of Aug 20, 2011 courtesy of web.archive.org. While the average person may think the changes he made to the latter design would have had a big impact, they didn’t. Jeff has experienced the same results I have. The 80/20 principle would say if you want the best bang for your buck, make a small investment in your site design. It’s super cheap to get a basic template like Thesis looking more professional (Adding a logo and a bit of color to your site takes little time and money). Keep your site clean – if you have some old, outdated looking logo or header, remove them. Clean is better than ugly. Write awesome content – design might impress someone initially, but your content will be what keeps them on your site and converts them into a client. You need a Call-to-Action – Once you get your visitors to your site, you’ve got grab their contact info or get them to call you, email you, message you… something. 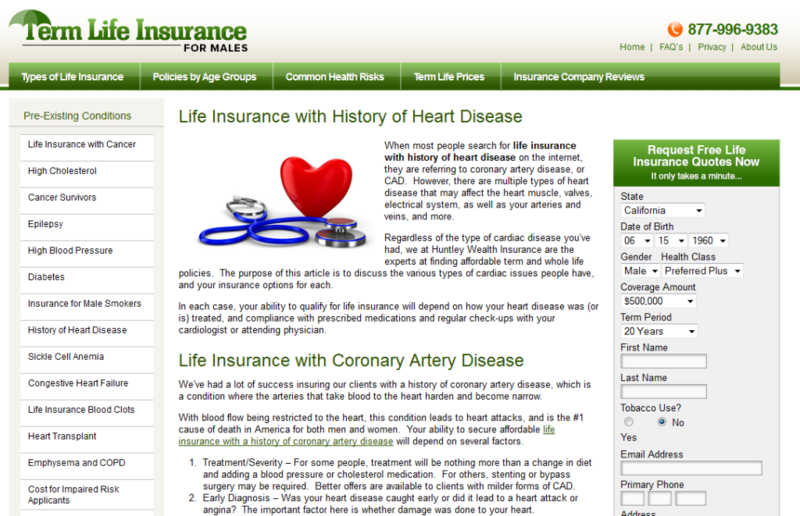 I recommend offering free life insurance quotes to them using Compulife’s quote form. “If you have more than three major pieces of information or options on a page, you’re likely overdoing it. When it comes to designing effective websites, keeping the visual options to a minimum always results in better conversions. These 4 tips will yield you 80% or more of the results that a big budget redesign will get you. Your turn to share your numbers. Tell me about a design or redesign you’ve made, and include the pertinent before & after data. I’d love to hear from you! I’ve got 7 different website’s and need a re-do on mine. Was told to use 1 main site and re-direct the others to that. 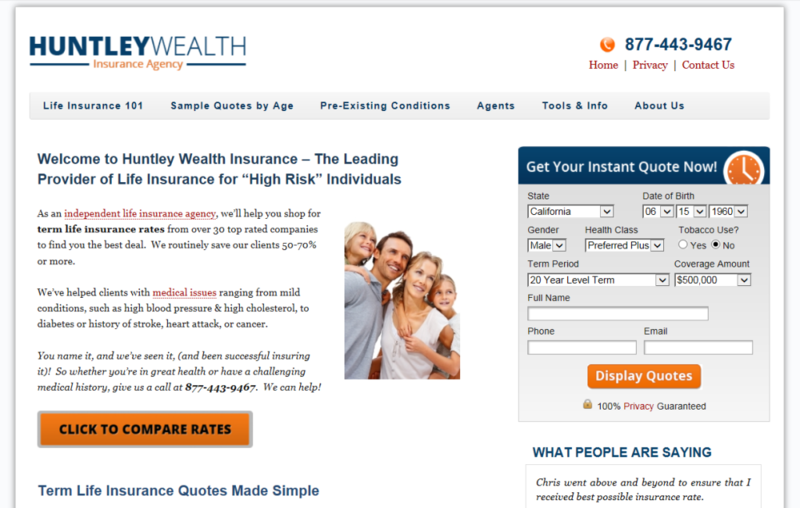 I have 3 insurance specific webmasters who can do this – one wants $500, one $1,475 and one $5,000. Looking for suggestions, opinions or advice since you already went through this! Sorry I’m just seeing this comment now. 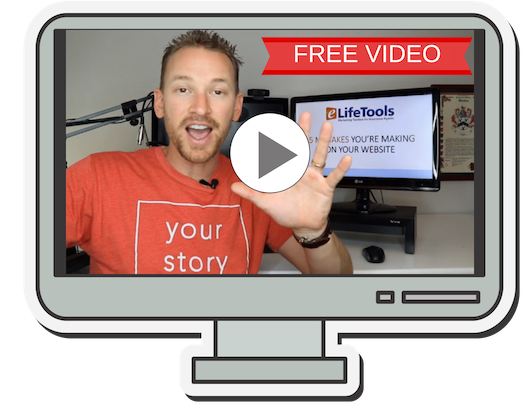 I personally like to keep my sites separate so I can diversify my sources of leads. 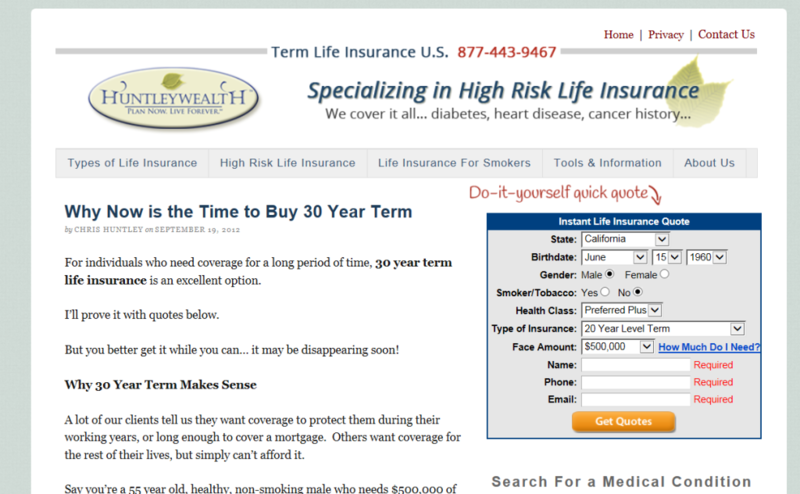 As for advice, I’d just make sure you make the quote form prominently displayed, and make sure it’s a responsive design. Last, simple and clean is better. I enjoyed the post. Not many posts like this out there for agents to see the results. Redesigns are always on the mind. I’m a P&C guy so your contact form is not going to work on my site. I was thinking about moving towards a floating sidebar quote form with the tab “get quote”. I wonder if anyone out there is trying this with any success. Yeah, you’d have to get it custom designed if there isn’t a similar P&C form. 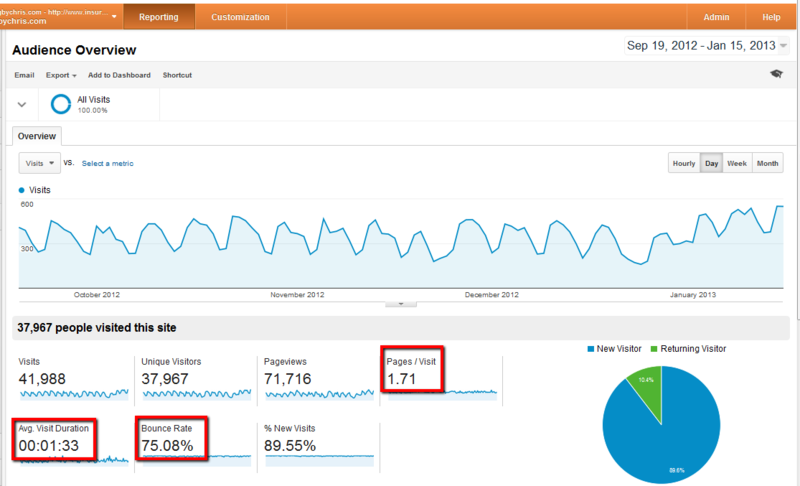 From a web designer point a view, these are interesting numbers and a very interesting post. 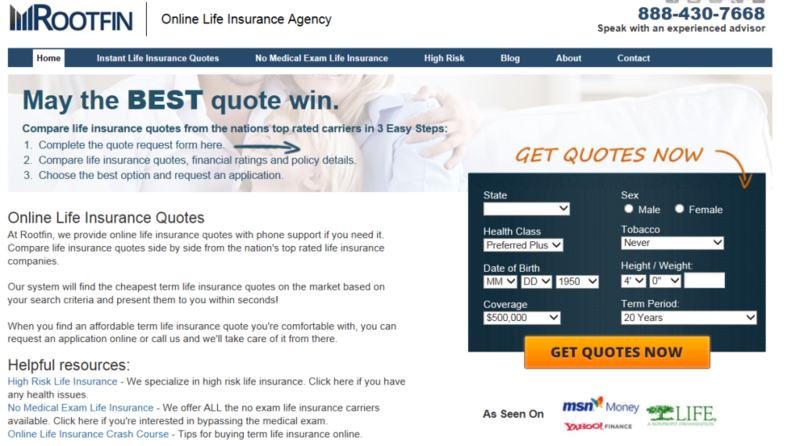 About 90% of my life insurance agent clients already own a website, and come to me to redesign it, so this article gave me some insight on why and what they are after. I’m definitely a sucker for the less is more approach myself. The banners and arrows pointing to a form simply look outdated, instead go for a more professional and clean approach. The advice I can give you as a professional web designer is that people don’t just stay on a website for no reason. In order to increase visit time and pages per visit, there has to be a reason. When you are offering the information they are looking for (not the information you think they are looking for), in a clean design with an easy navigation and attractive quote form, your visit time and pages per visit will go up guaranteed.